With only week and a half left in Grapefruit and Cactus League play, let’s take a look at three players who are absolutely on-fire right now and three players who are... well... not so hot at the moment. 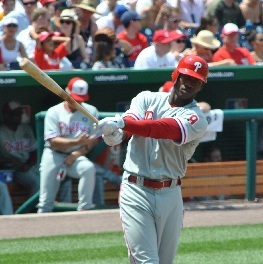 Domonic Brown (OF, PHI) - If Domonic Brown didn’t have a leg up on the Phillies’ starting left fielder job before, he certainly does now after launching his third home run in his past four games on Tuesday. 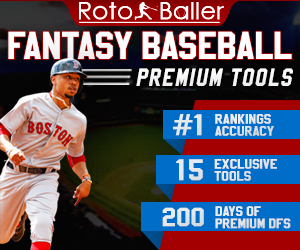 Brown was not ranked in RotoBaller’s Top 80 Outfielders when it was published a few weeks ago, but he will find himself vaulting up the rankings shortly if his Spring performance proves to be no fluke. Brown currently has a .397 batting average - 21(!) runs - 6 HRs - and 12 RBIs. I was happy to snag him in the 21st round (#314 overall) in my NFBC Draft Champions league as my fifth outfielder. Realistically, he could perform like a fourth (or hopefully third) outfielder during the season. Julio Teheran (SP, ATL) - Baseball America’s #44 ranked prospect for 2013 has been a standout pitcher in Spring Training thus far. 20 IP - 1.35 ERA - 0.65 WHIP - 25/6 K/BB ratio. With numbers like that, I think it’s safe to say that Teheran has put his poor season at Triple A Gwinnett last year behind him. Considering he was ranked #5 on Baseball America’s prospect list prior to the 2012 season, it’s encouraging to see the twenty-two year old regain his form. Here’s hoping Teheran’s spring success will carry over into the regular season. His ADP is in the mid 300's, but it has risen about 40 spots (to 320) since March 1st. Don’t sleep on him too long, because he’s definitely highlighted on your fellow league owners’ cheat sheets. Alex Gordon (OF, KC) - The 2005 number 2 overall pick proved he was not a bust after his breakout season in 2011. In 2012, Gordon may have regressed a bit in the power department, but he still led all MLB players with 51 doubles. In 17 games thus far in Spring Training, he’s hitting .477 (third overall) with 12 runs, 3 doubles, 3 HRs, 10 RBIs and 3 SBs. 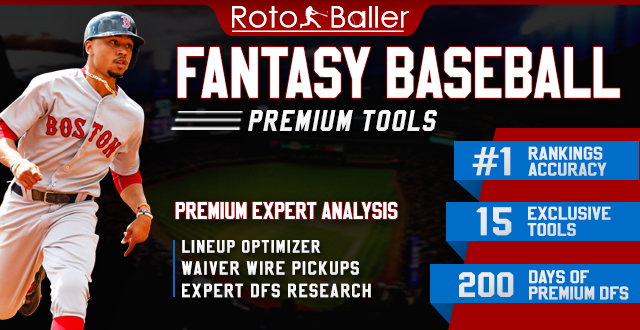 Gordon is RotoBaller’s 23rd ranked outfielder for 2013, right behind Allen Craig, Shin-Soo Choo and Hunter Pence respectively. Based on his current ADP (70), I prefer Gordon to all three players - to Choo and Pence based on talent alone and to Craig due to his higher cost (48 ADP). Expect another solid season from Gordon with the hope that his power returns to the 20-25 home run range. Chase Headley (3B, SD) - I’ll be interested to see how far the Padres’ franchise player falls in my upcoming drafts next week. 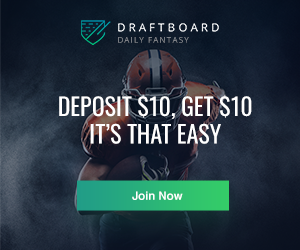 Certainly, those who have drafted already and invested an early round pick on Headley are tempering their team’s expectations for April, as the timetable on Headley’s fractured thumb is 4-6 weeks. The twenty-eight year old broke out in a big way last season and the Padres and fantasy GM’s alike hope he can build on that success upon his return. 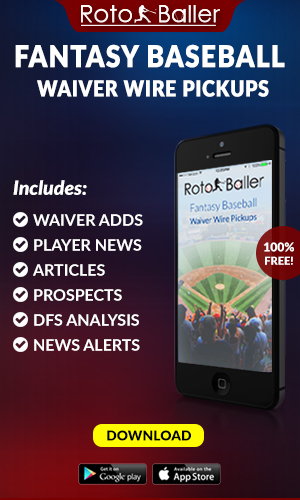 Headley was RotoBaller’s 8th ranked third baseman but he's been downgraded now to 15th in light of this injury, behind guys like Brett Lawrie, Will Middlebrooks and Todd Frazier. Roy Halladay (SP, PHI) - Just three years removed from an NL Cy Young award and two years removed from a second place finish, the thirty-five year old Halladay has a lot to prove this season after a strained lat muscle attributed to a dreadful 2012. After four straight seasons with a sub-3.00 ERA, that number skyrocketed to 4.49 last year. Halladay’s WHIP was still pretty low (1.22), but drafters this year are clearly put off by the Doc’s poor season. It doesn’t help that his current spring numbers are uninspiring (6.75 ERA 1.67 WHIP), but keep in mind that Halladay has lost a bit of strength due to a nagging stomach virus. Personally, I’m not too concerned about RotoBaller’s 15th ranked starting pitcher, but there is some hesitation there amongst drafters right now. Hanley Ramirez (SS, LAD) - Hanley is down and out for 2-10 weeks after injuring his thumb in the World Baseball Classic. That's the craziest timetable I've ever heard of, but the important number to focus on is the "10". Additional info on Hanley's thumb is expected soon, but thumb injuries are notorious for sapping power even after a hitter has returned "healthy". Hanley was looking to have a dynamite year in a stacked Dodgers lineup, but if he is out 10 weeks he should be seriously downgraded on everyone's draft board. 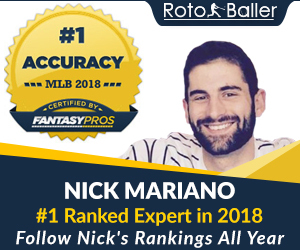 He was #3 on RotoBaller.com's Shortstop Rankings, but he's been downgraded to the 3rd tier and should be treated like 70% of the original Hanley. Don't be the guy who reaches for Hanley - take a mid-tier shortstop instead unless the news that comes out about his thumb winds up being extremely positive. For those interested, I’m happy to talk spring training stock - or any fantasy baseball related topics, for that matter - on Twitter, @RyanRufe.